Driven by better availability of consumer credit, U.S. demand for new vehicles should continue rebounding in the third-quarter, despite a tough comparison to 2009 because of the government's successful cash-for-clunkers program, the head of the country's biggest automotive retailer said today. AutoNation Inc. CEO Mike Jackson said third-quarter light vehicle demand should exceed 11.5 million units on a seasonally adjusted annual basis, and jump to more than 12 million units on an annual basis during the final three months of 2010. Because of cash-for clunkers, light vehicle sales averaged 11.44 million units a month on an annualized basis during the third-quarter of 2009. Light vehicle sales hit a 2009 high of 1.3 million units in August as U.S. consumers took advantage of the government incentive program. Some analysts see new car and truck demand cooling because of weakening economic growth, the prolonged housing slump and sluggish job growth. In June, sales reached an annual sales level of 11.07 million -- a level weaker than many automakers expected at this point in a recovery. For industry sales to return to an annual level of 13 million units -- or even 15 to 16 million units -- in the longer term, “we need higher employment and real stability in the housing market, and that is not there yet but I am optimistic that it's coming,” Jackson said. He spoke in an interview after AutoNation posted a 28 percent gain in second-quarter profit on rising vehicle sales.AutoNation President Mike Maroone said there was improvement in nearly every major brand and business line. The company's 249 franchises are evenly split among three operating units -- domestic, import and premium. Net income rose to $47.2 million from $36.7 million a year earlier. Revenue climbed 20 percent to $3.1 billion, reflecting increased sales of new and used vehicles, and higher finance and insurance revenue. The results beat Wall Street expectations. Excluding one-time items, earnings from continuing operations were 38 cents a share, 2 cents above what analysts polled by Thomson Reuters I/B/E/S had expected. During the period, AutoNation said segment income at the company's three operating units rose by 15 percent or more. The company defines segment income as operating income minus floorplan interest expense. 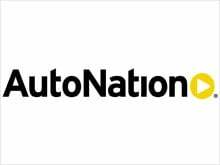 At its domestic brand stores, AutoNation said segment income rose 30 percent to $41 million, driven by a solid performance in sales of Ford and Chevrolet models. “We're really starting to see the domestics' new disciplined operating models take shape, particularly Ford and Chevy,” Jackson said. Sales also increased because of a $1,000 “across-the-board” improvement in revenues generated per unit sold, said Maroone. “We have held our key domestic stores in key markets and are being rewarded for it -- these markets are coming back,” Jackson said. Those markets include not only California and Florida, but Texas, Atlanta and Denver, he said. Separately, the company said it signed agreements to acquire Toyota Mall of Georgia and Hyundai Mall of Georgia -- both located in greater Atlanta. Toyota Mall of Georgia includes a Scion franchise and is one of the largest Toyota dealerships in the United States. Domestic, import and premium stores are all being placed up for sale, and AutoNation is shopping “for the right deal and the right market,” Maroone said.